The $64,000 question is where does the above parabola peak out? And where are we relative to said point? 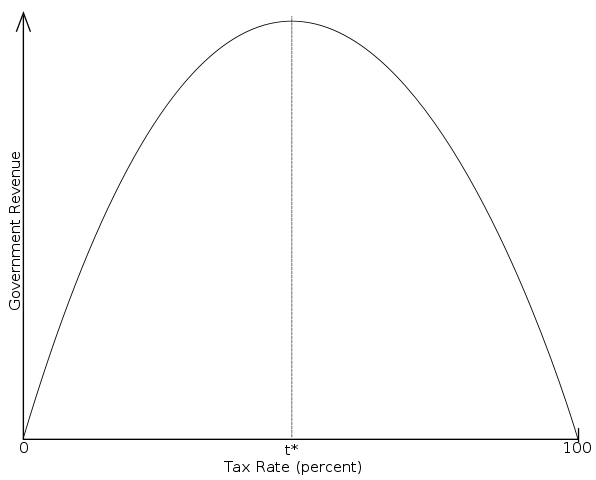 You can read more about the Laffer Curve if you are interested but that is not the focus of this post. The focus of this post is on the effect of indexation and index funds on the efficiency of the capital markets. It is not exactly news to note that index funds have rapidly been gaining share on actively managed funds, both at the institutional and individual levels, for some time now. 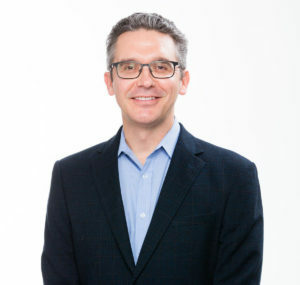 Jason Zweig and Sara Krouse at WSJ recently reported on this trend. In the graphic below you can see the trend quite clearly. One of the reasons why investors have flooded index funds of late has been because of their lower cost. At some point this trend will lose steam because index fund fees are already pushing the zero bound. 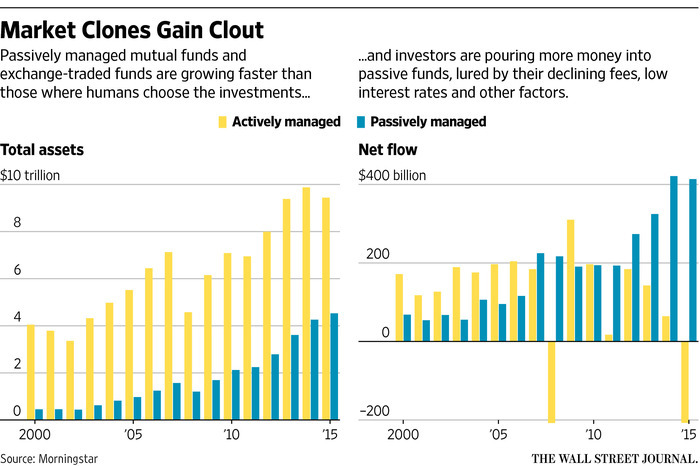 However active managers are feeling the pinch. Every major asset manager seems to be either launching a smart beta ETF or actively managed ETF. Managers who are underperforming the market are finding fault in the indexing trend. Specifically two weeks ago hedge fund manager Bill Ackman lashed out at the index fund trend calling it a ‘bubble.’ There is at least one error in what Ackman wrote about index funds. Others argue that is simply sour grapes on the part of Ackman due to his fund’s recent poor performance. Either way it is unlikely that the trend toward indexation will slow any time soon. Index funds are a growing segment of the world, but this thinking implies that index funds are now the marginal price setter of “the market”. This might be becoming increasingly true, but as of 2015 index funds were still a relatively small piece of all asset managers at just 34%. It’s a mark of how indexing has taken off that people are starting to ask me what would happen if everyone indexed. It makes for a fascinating discussion, but a purely academic one. It’s never going to happen. 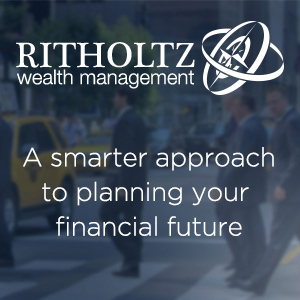 There will always be a demand for active management; people will always be susceptible to clever PR and advertising, and part of us will always believe that we can find someone smart enough to beat the market. 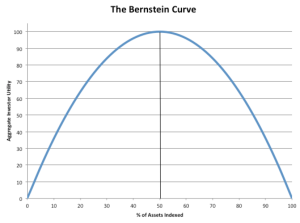 I remember asking the author William Bernstein for his view on this, and his guess was that the proportion of active versus passive investments will eventually settle down at around 50:50. Bill is such a hugely intelligent guy that I’m not going to argue with that. I won’t argue with William Bernstein either. Below is a graph, based on the Laffer Curve, showing the relationship between the proportion of the market that follows index-type strategies and something I am calling “investor utility.” I call it that because it some combination of net costs (higher % of indexing, lower cost) and market efficiency (higher % of indexing, lower efficiency). What one should be fanatical about is expenses, after-tax risk-adjusted returns, keeping it simple, and avoiding mistakes – all of which are good arguments for indexing.